Microsoft’s April firmware update has long been awaited by users who had hoped that the tech company would finally fix all the bugs they had been complaining about on its forums. Unfortunately, for some Surface users, the update process did not go smoothly and they experienced the annoying blue screen of death. BSOD after Surface firmware update, how to fix it? Surface Pro 3 blue screen at startup – This problem can occur right on startup. If that happens, try accessing Safe Mode. Safe Mode alone won’t fix the problem, but it will allow you to investigate the issue. Microsoft Surface blue screen of death – There are many reasons for this error, and sometimes the cause might be just a single file. To fix the issue, you just need to find the problematic file and run a single command in Command Prompt. Surface Pro blue screen of death – This problem can occur on Surface Pro as well, and if you encounter it, try updating your graphics card drivers. BSOD Surface firmware critical process died – Usually a BSOD error will be followed by an error message. To see how to fix the problem, you’ll have to do a bit of research and see what does the error message mean. 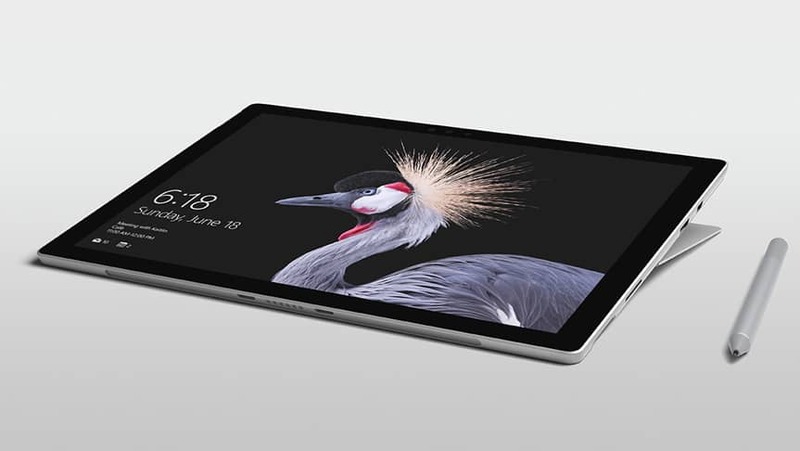 Surface Book BSOD – BSOD errors can appear on Surface Book as well, and if you encounter a BSOD, try using the solutions from this article. While applying today’s updates, I received a Blue screen. After it restarted, it applied updates before continuing into Windows startup. I clicked Retry, it says no updates available. Open the setupapi.dev.log log file from c:windowsinf. Find the error “Failed to install device instance”. Press Windows Key + X to open Win + X menu. Now select Command Prompt (Admin) or PowerShell (Admin) from the left pane. Now run pnputil -d oem90.inf command. Of course, if you got a different file, be sure to use that file name in this command. Close Command Prompt and run Windows Update once again to install the update. After doing that, the problem should be resolved and you’ll be able to install the update without any issues. Thank you for reporting this error message and the difficulty installing recent (4/19/2016). We understand that some customers are experiencing this and we are actively investigating and will provides updates to this thread when available. If you’re getting BSOD after the Surface firmware update, you might be able to fix the problem simply by entering Safe Mode. In case you don’t know, Safe Mode is a special segment of Windows that runs with default settings and drivers, so it’s perfect for troubleshooting. Open the Settings app. You can do so instantly by using Windows Key + I shortcut. Navigate to Update & Security section when Settings app opens. Choose Recovery from the left pane. In the right pane, click the Restart now button. You should now see a list of options. Select Troubleshoot > Advanced options > Startup Settings. Now click the Restart button. After your PC restarts, you’ll see a list of options. Select the version of Safe Mode that you want to use by pressing the appropriate keyboard key. Let your PC restart few times during the boot sequence. If you want, you can restart it manually as well. Now you’ll see a list of options, like in Step 3 above. Just follow the same instructions and you’ll enter Safe Mode. Both methods are just as effective, and you can use either of them. According to users, your drivers can sometimes cause BSOD after the Surface firmware update, and in order to fix it, it’s advised that you update your drivers. To do that, simply visit your graphics card manufacturer and download the latest drivers for your model. This can sometimes be a complicated task, especially if you don’t know how to find the model of your graphics card, or if you have other outdated drivers on your system. However, you can easily fix that by using TweakBit Driver Updater software. This tool will automatically update all your drivers, so if you don’t want to search for drivers manually, be sure to try this tool. 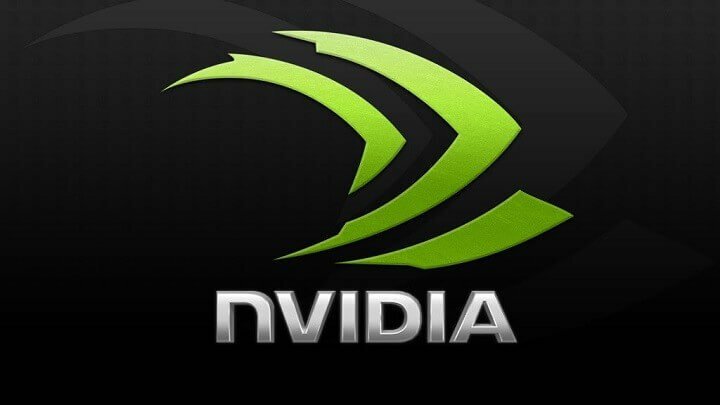 Several users are also suggesting to completely remove your graphics card driver before installing the latest drivers. You can do that from Device Manager, but you can also use tools such as Display Driver Uninstaller to completely remove your drivers. 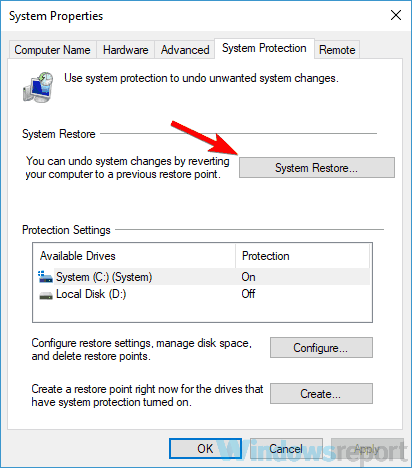 Once you remove the driver, restart your PC and the default driver will be installed. After doing that, you can update your driver if you want and check if that solves your problem. If you’re getting BSOD after the Surface firmware update, it’s possible that your DisplayLink drivers are causing the issue. It seems that DisplayLink drivers aren’t fully compatible with Intel drivers, and that is causing the problem to appear. To fix the problem, be sure to remove DisplayLink drivers from your PC and check if that solves your problem. Several users reported that the issue was fixed for them after removing the DisplayLink drivers, so we advise you to try that. Press Windows Key + S and type system restore. 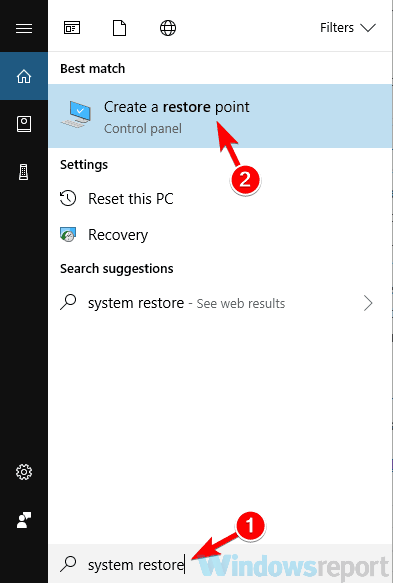 Now choose Create a restore point from the menu. 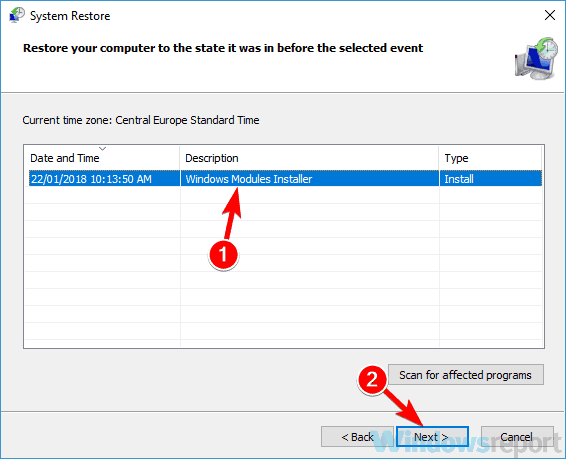 Click the System Restore button in System Properties window. 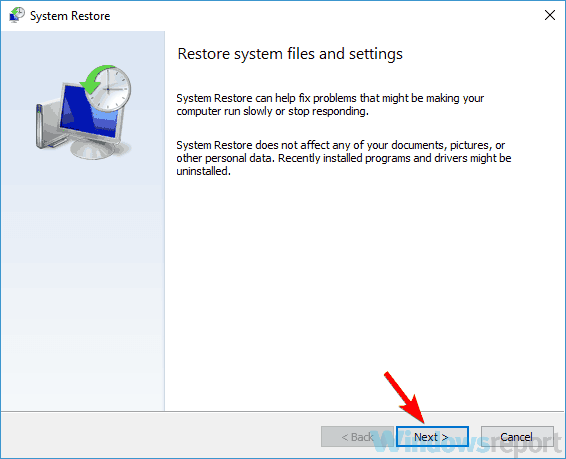 When System Restore window opens, click Next to proceed. Check Show more restore points option, if it’s available. Select the desired restore point and click Next. Follow the instructions on the screen to restore your PC. After your PC is restored, check if the problem is still there. Windows Hello is a security feature that allows you to sign in to your PC using your fingerprint or by using facial recognition. This is a great security feature, but sometimes this feature can cause issues to appear. Open the Settings app and go to Accounts. Select Sign-in options from the menu on the left. In the right pane locate Windows Hello and click the Remove button. Once you disable Windows Hello, the problem with BSOD should be resolved. If you want to see what are the specific issues addressed by the April firmware update, go here.